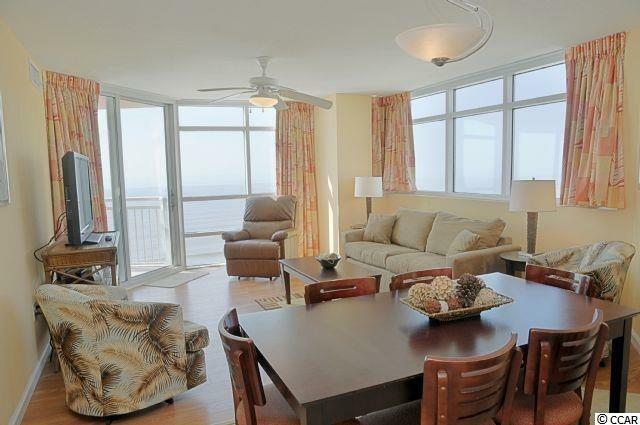 Incredible views from this stunning oceanfront end unit in spectacular Prince Resort. 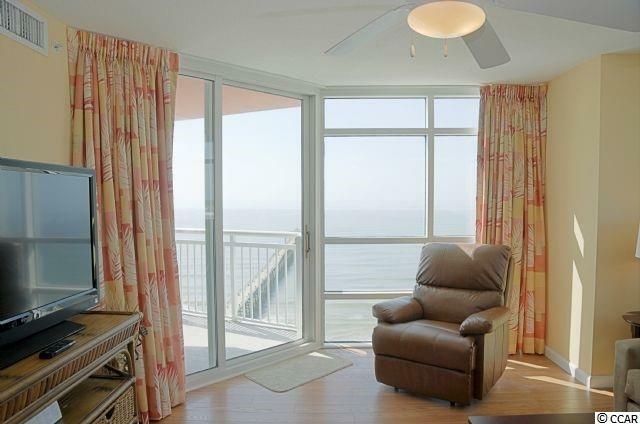 The living room and master bedroom both access the oceanfront balcony. New carpeting in bedrooms and new wood floor in living room. Interior features include flat screen TVs in the living room and both bedrooms, ceramic tiled floors in the kitchen, dining area and baths. HVAC system only 2 years old! 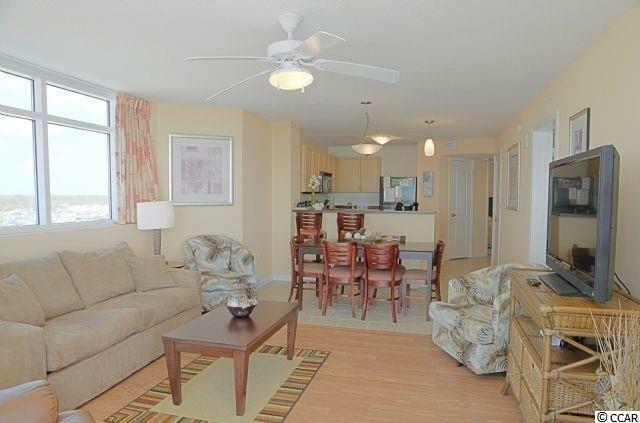 Great unit as a second home or vacation rental property. 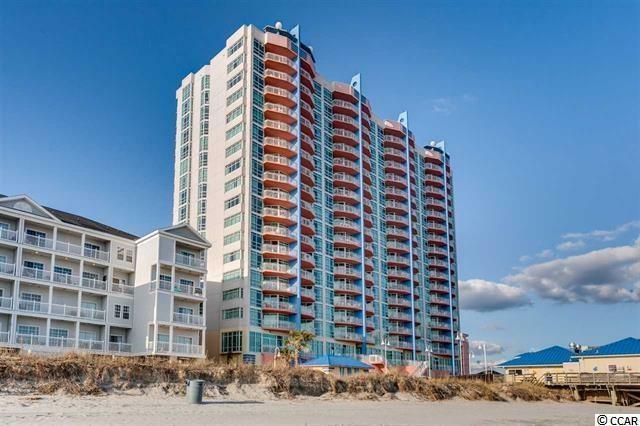 The Prince Resort is located in the popular Cherry Grove section of North Myrtle Beach and is one of the newer oceanfront towers in the area. Oceanfront amenities include a swimming pool, two hot tubs, a kiddie pool and oceanfront dining at The 3500 Grill. Owners and guests also have access to the amenities (rooftop swimming pool, lazy river, two hot tubs, fitness room, meeting room and an 8-level parking deck) in Prince Tower II just across the street. THE HOA FEE INCLUDES EVERYTHING! (water/sewer, in-unit electric, cable TV , internet, telephone, building insurance and HO6 insurance). All information is deemed correct, but it is the responsibility of the buyers and their agent to verify all information.